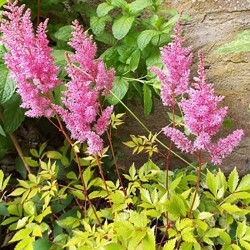 Astilbe There are 3 products. A new astilbe foliage (void) cut completely golden. 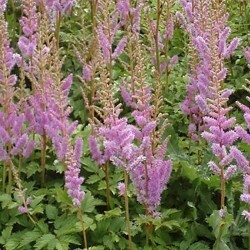 Flowering pink plumes worn over high purple stems. Beautiful high clumps form to use to illuminate the shady corners of the garden. Sol fees drained. A chocolate delight!. 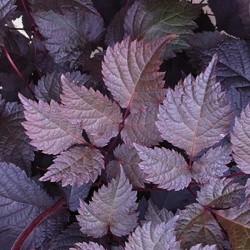 New astilbe foliage cut purple black (void) that overcomes summer flowers in pink white plume. Usable in floral art when the flower is half open. Sol fees drained.